Our satiny Soap contains shea butter, a luxurious conditioning ingredient. 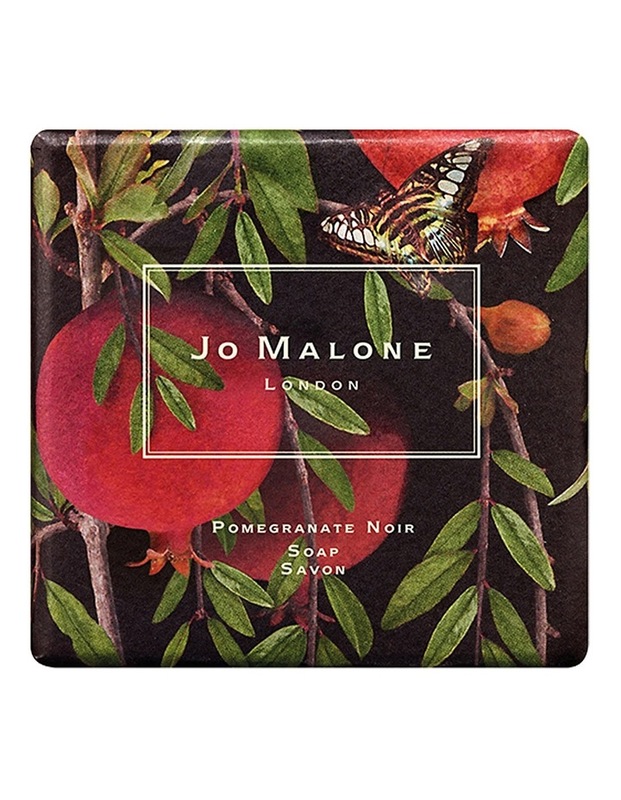 The richly fragranced foam gently cleanses and scents the skin with Pomegranate Noir. Daring sensuality, encapsulated in scent. Ruby-rich juices of exotic pomegranate, spiked with pink pepper and laced with Casablanca lily. Warmed by temptingly-smoky guaiacwood and patchouli. Dark and enigmatic. Wrapped in a unique design created by renowned British artist Michael Angove. A perfect gift.